Baseball Writers ~ Who Cuts the Mustard and Who Cares? 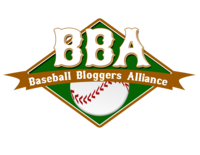 This week the Baseball Writers Association of America has been in the news. It’s been in the news a lot. For only the second time in its history the Association has failed to name one eligible baseball player worthy of entering the Hall of Fame. So I’m pondering this little ditty thinking about Barry Bonds and Roger Clemens and their alleged partaking of performance enhancing drugs, and thinking about the BBWAA. Who are these people? What are their credentials? Why does it matter what they think? When I read their membership list I’m surprised that I only recognize a couple dozen or so names. Most of the names that would have been at the top of my favorite baseball writers list aren’t even listed as members of this association. The primary purpose of the BBWAA is to assure clubhouse and press-box access, and to elect players to the National Baseball Hall of Fame. That’s it, at least according to Wikipedia. All writers with 10 years membership in the BBWAA are eligible to vote for the Hall of Fame. It was founded in 1908 and as far as the baseball world is concerned, the sun rises and sets with this organization, and my question is “why”? I compiled a list of a few of my favorite baseball writers and tried to give a reason why, though sometimes it’s not apparent even to me. These are good writers because what they write makes me want to read more, even after I’ve finished reading their articles. Note that none of these have BBWAA associated with their names. They might be a member, but it’s not known to me and honestly I could care less whether they’re a member or not. ALEX PAVLOVIC. I’ve been following this writer for the past several years as he stood in the shadows of Andrew Baggarly at the San Jose Mercury News. When Baggs left last year to join the ComCast News Group, Alex stepped up big-time. I like writers who are up-front, in your face, and don’t try to sugar coat interviews and the news. You know, just put it out there and let me decide what my opinion is about the subject. That’s what this guy’s about. He writes a blog, “Giants Extra“, that I read on a regular basis and always look forward to his meanderings. BRYAN O’CONNOR. My acquaintance with Bryan began when he made some astute comments on one of my blogs a few years ago, so I checked him out and my mind’s still whirling. His blog is “Replacement Level Baseball” and I’m not sure why he doesn’t write professionally for the main stream media, but goodie for us that he doesn’t. It gives him more time to overwhelm us with his baseball knowledge. Warning: He’s a Bill James sabremetrics fan and goes way over my head on occasion. But here’s a recent analysis of his personal “Hall of Fame Ballot” vote, if he had one, that was especially entertaining. JONATHAN HACOHEN. But of course Jonathan’s one of my favorite writers. He was very generous with his review of my book “Garlic Fries and Baseball” and I’ve been reeling ever since. 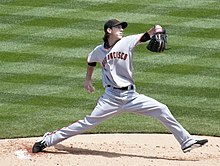 But before the review I had already subscribed to “MLB Reports” that Jonathan founded in 2010. He’s been writing baseball for over twenty years and if he had a specialty I’d have to say it was his in-depth interviews, done only as he can do them. His website is growing leaps and bounds and I rather miss that he doesn’t personally write as often now, but I latch onto whatever he does write as soon as it’s posted to my “Inbox”. CRAIG CALCATERRA. I really hate to admit that I like this guy’s writings so much because, to tell you the truth, a lot of what he writes irritates the socks off me. I rarely agree with anything he says. But it’s the way in which he says it that kind of grabs you, hooks you and draws you in. Usually when I read one of his articles I find myself running to Wikipedia or other resource material just so I can prove him wrong, which I rarely do, because most of what he writes is opinion as he’s quick to point out. Craig writes for NBC Sports HardBall Talk and I guess the reason he’s on my favorite baseball writers list is because, whether we agree or not, I always look forward to reading whatever little morsel he decides to throw my way for the day. HENRY SCHULMAN. Hank Schulman writes “The Splash” for the San Francisco Chronicle. He’s a full-fledged newspaperman, sports reporter and columnist, with sports jacket and everything. When he starts off with “I just talked with Bruce Bochy “or whoever it might be that morning, it grabs my attention and I latch on to every word. He’s that “if it’s written it’s real” type of writer. He’s one of those guys you’d most like to have dinner with, have a conversation with. You know what I mean. There’s a thousand stories in there somewhere and I’d like to hear them all. But in the meantime I’m content with reading the morning paper with my morning coffee and telling my hubby, “Guess what Hank Schulman said today?” My husband gets it. Baseball writers each have their own style of writing; some you like and some you don’t. And that’s okay. This year the BBWAA decided to make the Hall of Fame vote into a popularity contest and that’s okay too. I mean if they want to tell us which players cut the mustard and which ones don’t, who the hell cares? Really, who cares, because baseball fans have always made up their own mind on this type of thing and, after all, in the court of public opinion, isn’t that what really matters? I intended to blog about the Texas Rangers job opening for an “accountability partner” for Josh Hamilton but had second thoughts. It seems a little heartless to talk about it, maybe even a little sad, so when I found this little ditty out there in YouTube land it was an easy change-over. This is light-hearted good stuff! So in case you’ve never seen it and even if you have here’s a wonderful version of one of Abbott & Costello’s finest routines. Abbott and Costello performed this classic “Who’s on first?” baseball sketch in their 1945 film “The Naughty Nineties” first performed as part of their stage act. This video now plays continuously on screens at the Baseball Hall of Fame in Cooperstown, New York. In 1999, Time Magazine named the routine the “Best Comedy Sketch of the 20th century. And who’s to argue with them? No matter how many times I’ve seen it, it’s a classic that never gets old. You can read all about it at Wikipedia, but not on Wednesday, January 21, as they’re having a “black-out” to protest the Freedom of Information Act being proposed in Congress. 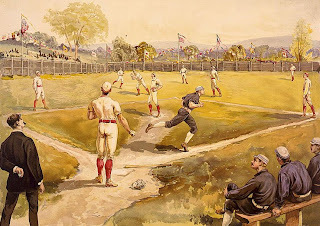 “Who’s on First” YouTube Video courtesy of, and uploaded by, Swancourt on Feb 16, 2007.